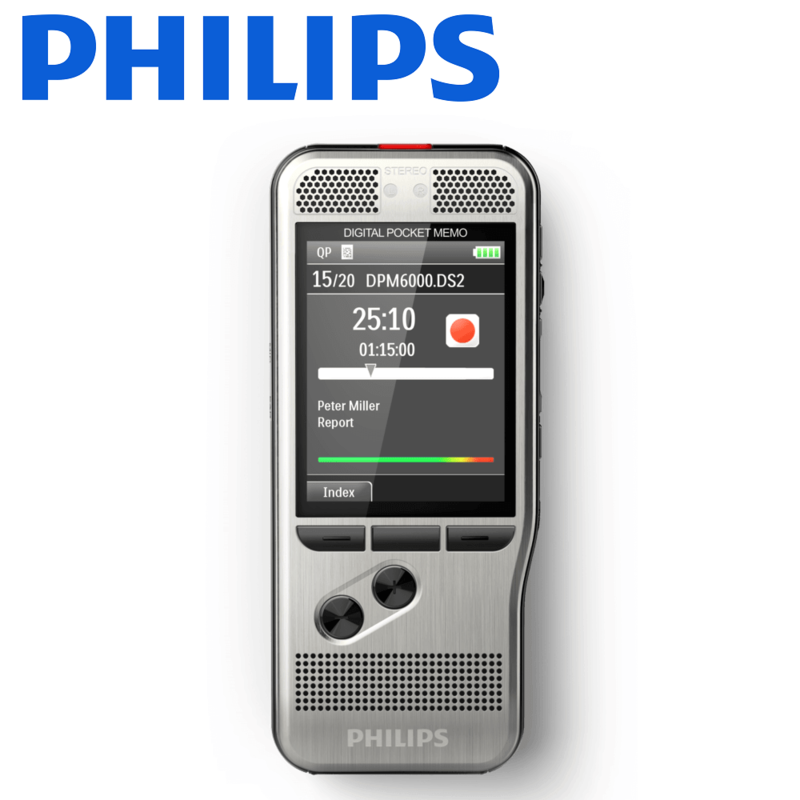 Philips Entry Level DPM6000 Series features two microphones for superb audio quality, robust stainless steel casing, and power saving capacity – a sturdy, no fuss, push-button dictaphone for everyday use. Large color display and clear user interface for easy, intuitive operation – The large full-color display offers sharp images, making it easier to see everything at first glance. 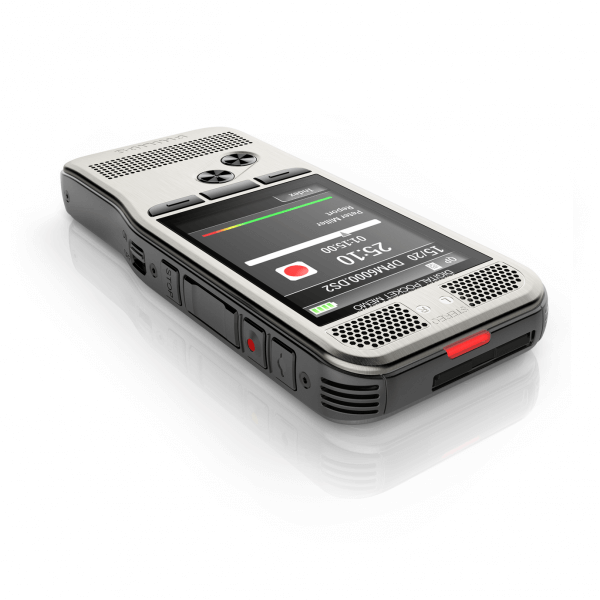 The clear user interface is optimized for easy, intuitive, push-button operation. 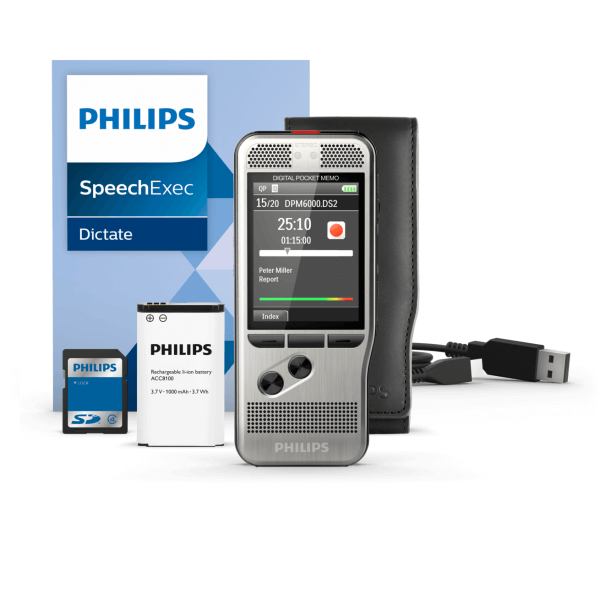 Philips DPM6000 Series Voice Recorder is a sturdy, robust dictaphone for everyday use. Optional docking station and foot pedal for hands-free dictation and transcription. The stable and practical docking station provides speedy charging and automatic transfer of your recordings to your computer. 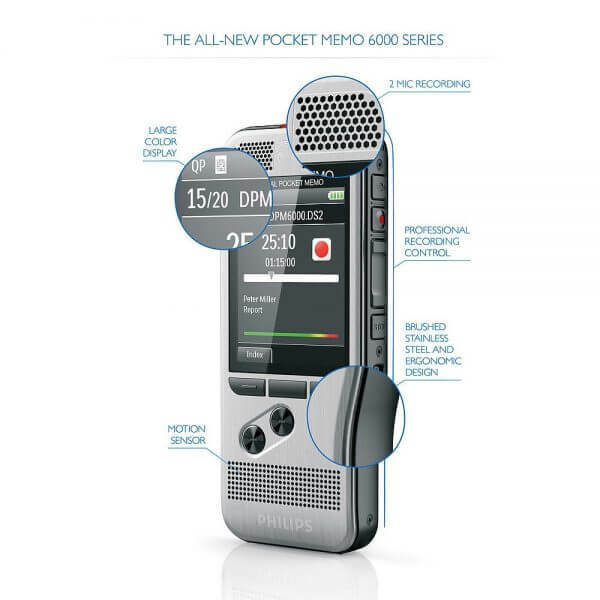 With the optional foot pedal connected, the docking station even enables hands-free recording and transcription.